The Prime Minister Saturday night visited the grave of his brother, Entebbe hero Yonatan Netanyahu, in advance of Memorial Day Monday night. The prime minister Saturday night visited the grave of his brother, Entebbe hero Yonatan Netanyahu, in advance of Memorial Day for the fallen of Israel’s wars Sunday night and Monday. Sarah, the wife of Prime Minister Binyamin Netanyahu, and their two sons Yair and Avner accompanied him to the Mount Herzl military cemetery in Jerusalem, where they lit a candle in memory of “Yoni,” the commander of the daring rescue operation 35 years ago. He was the only soldier that was killed in Operation Entebbe, which still is used to teach counterterrorism classes. The office of the prime minister explained that the visit to the cemetery was advanced by one day in order to avoid inconvenience to the public on Memorial Day, when a large security detail would have delayed the thousands of people who visit Mount Herzl cemetery on Memorial Day. Yoni Netanyahu was 30 years old when he fell. 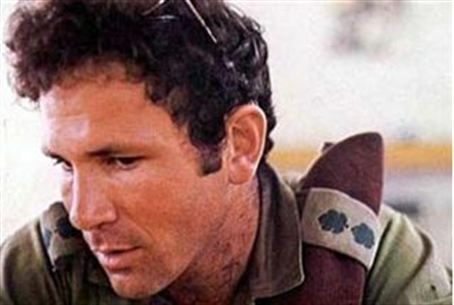 He was a decorated elite combat fighter and was recognized for having saved the life of an army general, Yossi Ben Hanan, in the Golan Heights battle during the Yom Kippur War. Ben Hanan named his son after Netanyahu, and Yoni Ben Hanan now works at the Israeli embassy in Paris.